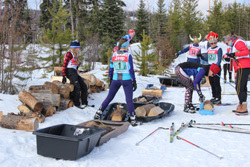 We’re hosting the BC Cup #2 for biathlon on the weekend of February 16 – 18, 2018. Come on out and lend a hand with the event or just bring the family to watch the fun. Races happen on Saturday and Sunday – click on this link to the official page. is tentatively scheduled for Sunday, March 11th, 2018. 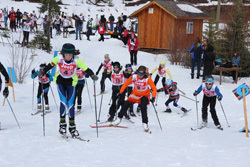 Join in the fun as teams combine skiing and shooting accuracy plus hidden challenges in a relay format. For more details, click here to go to the Omineca Amazing Relay page. 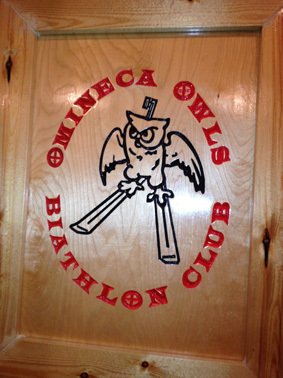 Join the Omineca Owls Biathlon Team!! 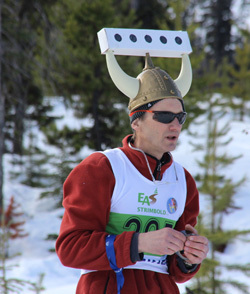 Biathlon is an Olympic winter sport that combines competitive, skate-style cross-country skiing technique and small-bore rifle marksmanship. 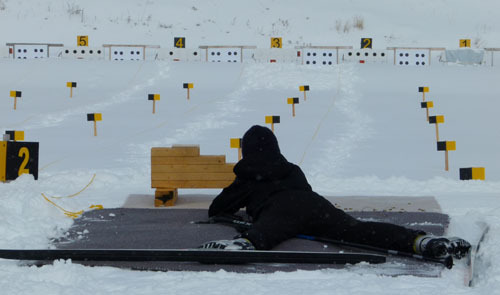 It is a challenging sport because it combines two very different activities—shooting and skiing. 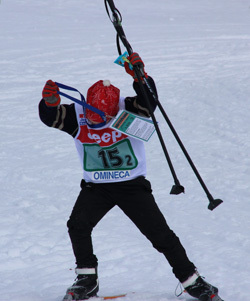 Shooting demands very strong control and stability and cross country skiing requires intense physical exercise. It is very difficult to arrive at the shooting range and shoot at a very small target with your chest heaving from exertion. 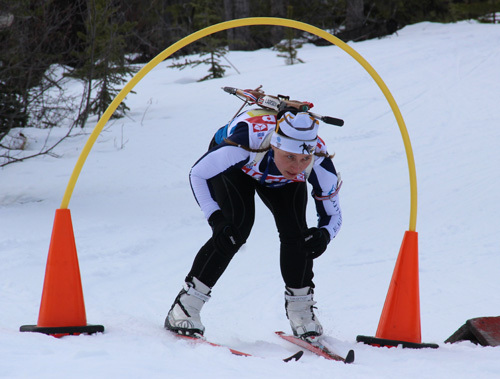 The sport of biathlon (Greek origin meaning “two tests’) goes back thousands of years to when hunting was done on skis. The first ever officially recorded biathlon competition was held in 1767. Biathlon didn’t become really popular until the 20th century when competitions (mainly in Scandinavia) were held for military training purposes. In 1924 Biathlon (AKA Military Patrol) entered the Olympic stage. Biathlon in Canada also emerged out of military competitions and in 1968 Canada sent an all-military team to the Olympics in France. 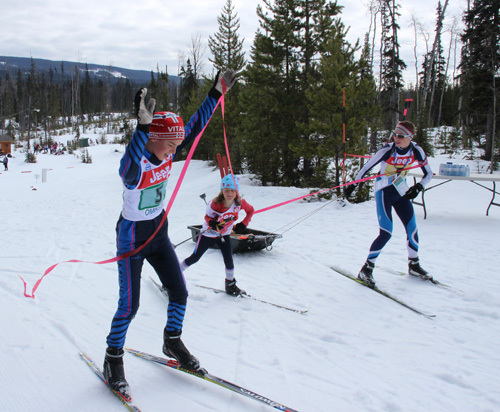 For and extended biathlon history lesson visit www.biathloncanada.ca and click on “Learn about Biathlon”. Are you interested in trying biathlon? 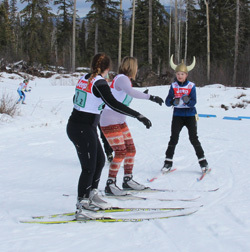 The Omineca Owls have a number of single-day biathlon activities designed to introduce new participants (ages 8-80) to the sport of biathlon. 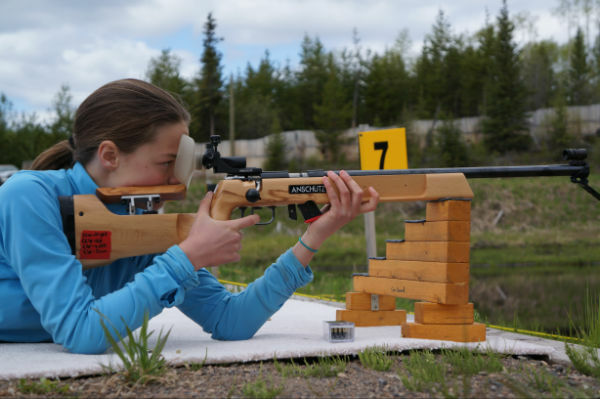 “Give-it-a-Shot” events are partially funded by Biathlon BC and ViaSport. Sorry none are currently scheduled. Come and train with the Omineca Owls! 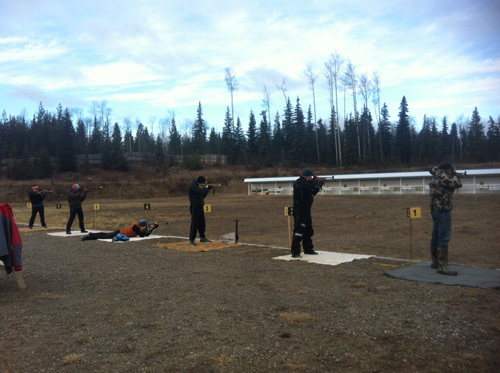 The Omineca Owls practice Sunday mornings at 10 or 11 am (weather dependent) at the Omineca Ski Club Range. 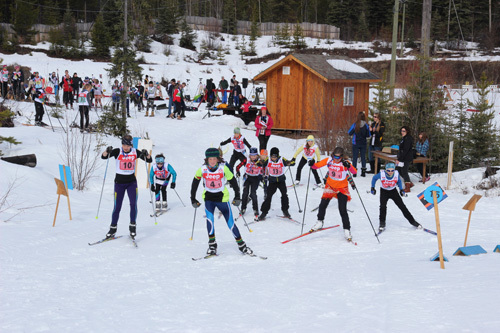 The athletes also join the Track Attack skiers every Tuesday, Thursday and Sunday (coached by Chris Paulson) for the cross country portion of their training. 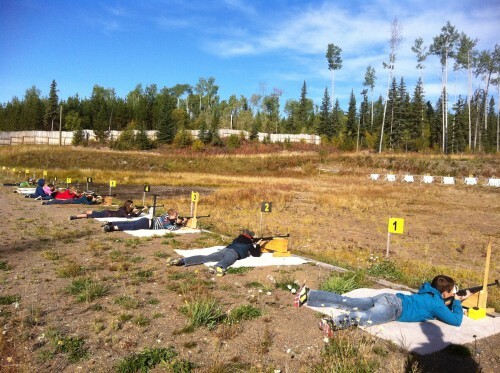 Please note all family members are expected to register as ‘supporter’ if they are spending time on the range. The cost is $20 per person. To register, click this link to Biathlon BC. 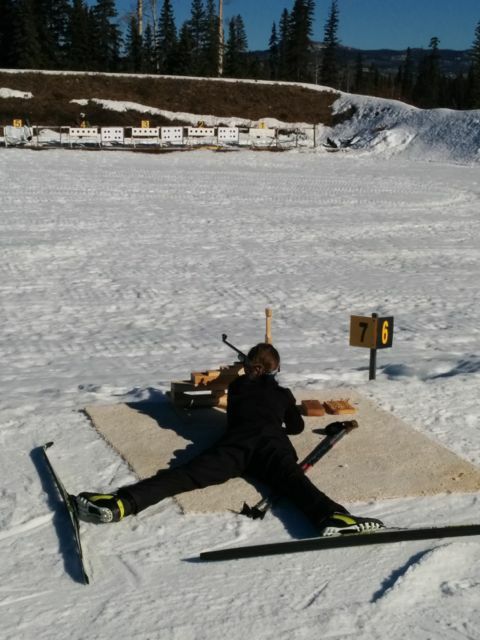 See how our local biathletes are doing this season! Biathlon Age Categories – What category are you? Biathlon is unique because every two years you need to master a new skill! Masters 35+……………………………………………..The fun never ends!!! !